A tough, determined and disciplined Anthony Crolla knocked out the briefly dangerous but eventually jaded Ismael Barroso in the seventh round to complete a stunning comeback and retain his WBA lightweight title in Manchester. Crolla weathered the early storm of Barroso - losing the first four rounds - but rallied from the midway point and scored the knockout with a sublime right hook to the body. Barroso, 33, set a ferocious pace from the opening bell. Swift, spiteful combinations ripped through Crolla's guard and immediately marked up his forehead. Crolla - to his credit and bravery - instead of countering on the backfoot, marched forward and fought in the eye of the storm. However risky it may have seemed. The Venezuelan southpaw implemented a substantial punch output - served up with immense punch variety. A zipping straight left found its way through, while a sweet three shot combination reminded Crolla of the task at hand. To his credit, he showcased his renowned lateral movement to evade a minority of Barroso's firepower, but lost the opening four rounds based on inferior workrate alone. Whilst the challenger had shown glimpses of his power, Crolla remained steady, compact, determined and disciplined. Barroso's shot selection impressed - scoring points with right/left hooks upstairs, albeit caught with a sharp uppercut from Crolla, before subsequently nailing the home fighter with a crunching right hook to the body and following it up with a three-punch combination on the ropes. 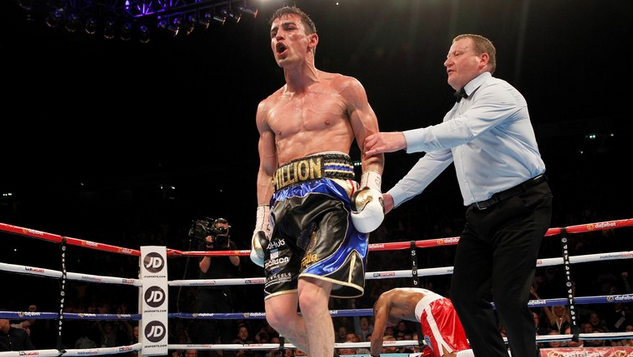 Thoroughly dominated in the opening rounds, Crolla had bizarrely executed the perfect gameplan. 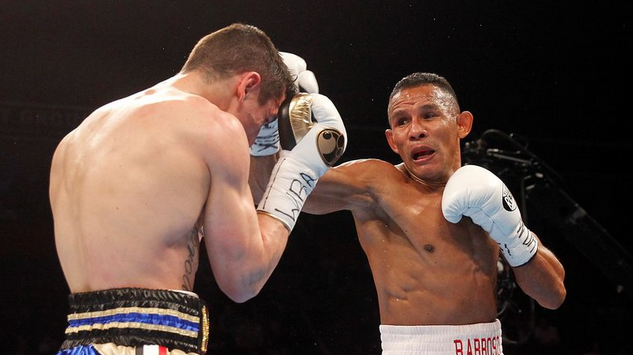 That involved losing all four stanzas and suffering a deep gash above the right eye, however Barroso's stamina decreased and became prone to taking bigger punches. Crolla peppered Barroso with a stabbing jab, and subsequently started the unravelling of the challenger's defence. With his legs turning to stone, Barroso simply couldn't continue. 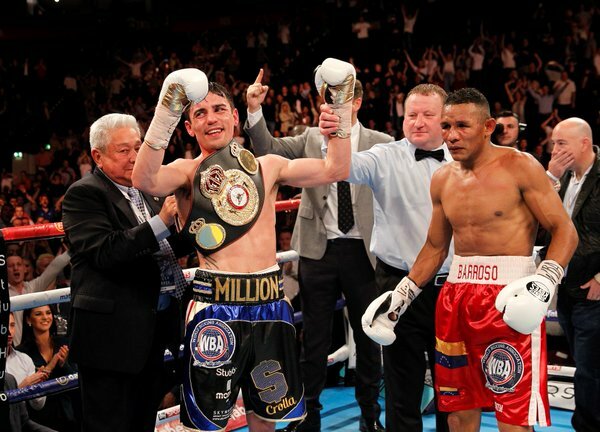 As he sagged in desperation, Crolla continued to energize. Subsequent to Barroso's comeback combination in the centre of the ring, a terrifically timed right hook to the body marked the beginning of the end for Barroso. He crumbled to his knees in excruciating pain, and Howard Foster reached the count of ten at 1:31 in round seven to ensure Anthony Crolla's world title remained in Manchester. A truly magical night. Weathered the storm, absorbed the punishment, and offloaded his own fire to knock out the 'most dangerous puncher' in the lightweight division. Ducking Barroso? Don't be so silly!